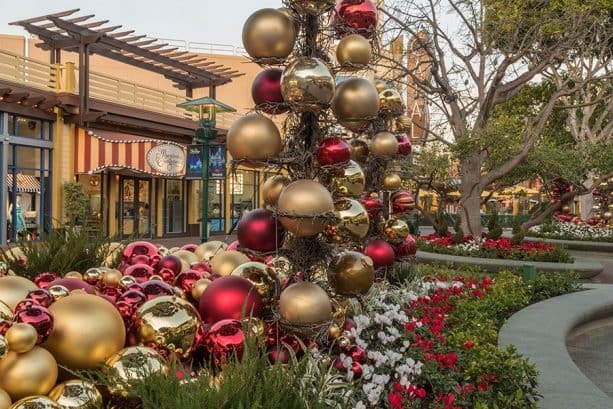 It’s a wonderful time of the year to stroll the Downtown Disney District at the Disneyland Resort, brimming with beautiful décor, tasty treats, holiday entertainment and unique shopping options for everyone on your list! Here’s a peek! 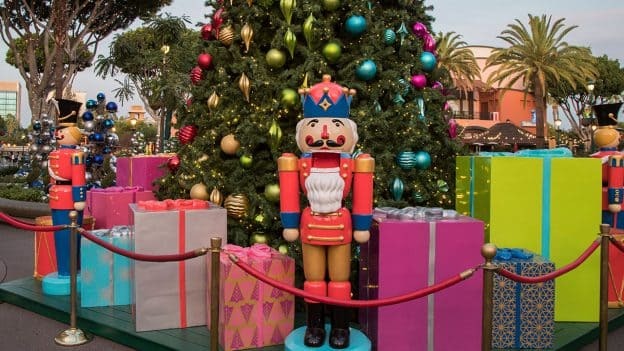 You’ll want to stop for selfies around the gorgeous holiday displays and horticulture throughout the Downtown Disney District. Sights to see include a total 6,200 ornaments, with 800 ornaments on the 30’ tree by the Uva Bar and 900 ornaments in each of six planters, which feature more than 50 types of flowers and ferns. California Churro – The White Christmas Churro coated in powdered sugar with a minty flavor is a favorite! Cotton Candy Creations – Enjoy seasonal Peppermint, Candy Apple and Hot Chocolate cotton candy buckets. Earl of Sandwich – In addition to the popular Holiday Sandwich, enjoy the Holiday Ham-Ham with Cheddar, Yams and Cranberry Sandwich. 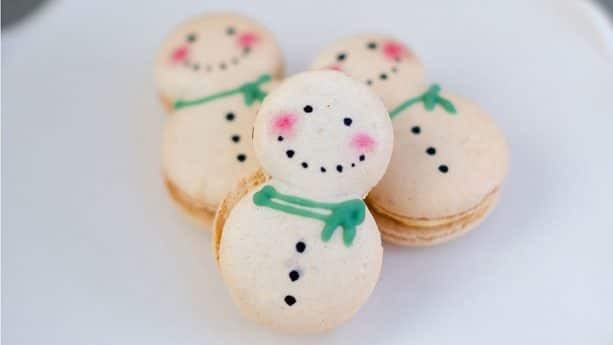 Kayla’s Cake – Christmas Snowman and Gingerbread Macarons are delicious and adorable. Starbucks – Try the Sugar Plum Cheese Danish, a Caramel Brulée Latte or pick up a pound of the Christmas Blend Espresso Roast. A second store location is coming soon to the Downtown Disney District, across from the Disneyland Monorail station. Wetzel’s Pretzels – Cin-A-Bitz with Sweet Glaze are sugar, spice and very, very nice. 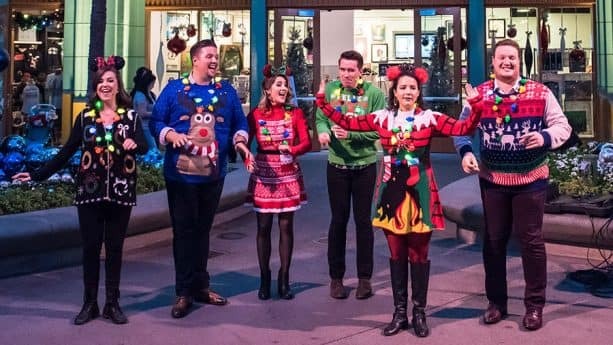 The Downtown Disney District features nightly entertainment throughout the holiday season, from the a capella carolers, Holiday Harmony, decked in “ugly” holiday sweaters to magicians and other talented artists throughout the promenade. 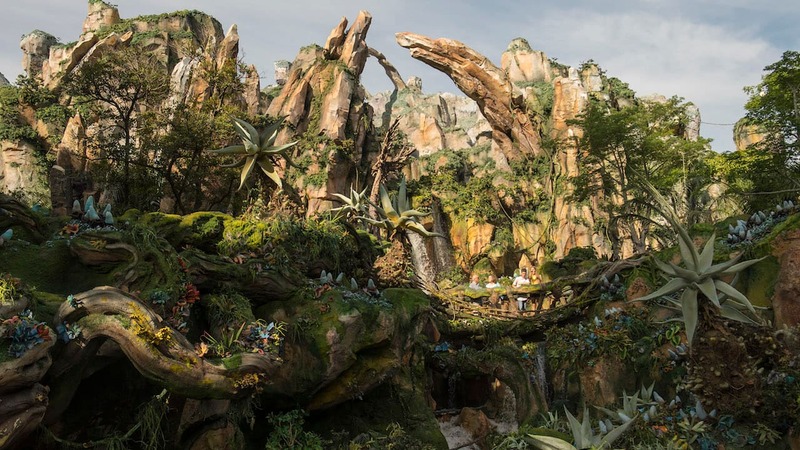 World of Disney – A must-visit for Disney fans is the newly reimagined, 40,000 square-foot store redesigned to make shopping even easier and more entertaining with touches of pixie dust in the displays. 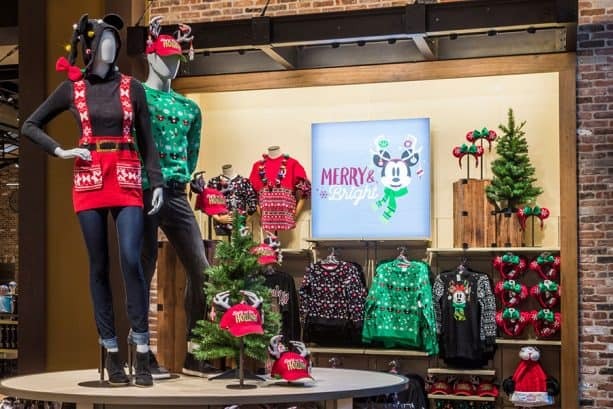 Be sure to check out the new Disney Parks Holiday Collection. Ice-Land Workshop – Check out this spot near near The LEGO Store. For a limited time, pick out personalized holiday ornaments — a great gift idea. PANDORA Jewelry – Limited-edition jewelry and special offers are available for every holiday shopper throughout the season. Sanuk – This spot for cozy footwear includes Puff N Chill boots and Chiba Chill shoes. Other favorite shops include Disney Home, The Disney Dress Shop, Sephora and Curl Surf. Join us as we say hello to the holidays at the Downtown Disney District! I love how in the past couple of years, DTD has really gone above and beyond in decorating. It’s so festive and beautiful. I love walking thru and seeing everything. Perfectly imitating and alluding to Princess Elsa ‘s light, bright, frothy, soft, baby blue, cotton candy colored, wintry-like, icy, snowy fortress appearing in ‘Disney’s,’ ‘Frozen,’ ‘Cinderella’s Castle’ warmly, poignantly paints a candid picture, magically, effortlessly, flawlessly capturing the true, beautiful, longtime, fulfilling essence and ambiance of the upcoming, impending, immediate, comfortable arrival of the festive, colorful, celebratory, welcoming, 2018 holiday season, naturally, symbolically, stoically posing for its close up, decorations and all, on the big day of ‘Mickey’s Very Merry Christmas Party’ grand debut! Featuring the popular host and hostess with the mostess, Mickey and Minnie Mouse, Minnie happily, gradually waves hello, presenting a lovable kiss blown to the crowd atop an especially sparkly, fancy, glittery, golden float before an often, recognizable, costumed Anna, Elsa, Olaf, Kristoff, Venelope Von Schweetz and ‘Wreck It Ralph’ effectively paving the way for an excitedly joyous, thrilling and smooth ride down a busy, bustling Main Street, a must visit destination throughout the many, beloved, desirable theme parks located in Orlando, and surrounding areas of Central Florida. Whilst it may only, clearly, still be early November and the soon to be eve of Thanksgiving, there’s no better, frequented period than now to not only remember and keep close those with whom we care for, but to also, eventually safeguard the classic, hopeful spirit and pure strength of our wishes alive, proudly reuniting and bringing families together from all walks, races of life, as a key, primary necessity and responsibility, realistically, instantly causing time to stop and stand still with every individual enjoying, appreciating, participating and sharing in the particular, specific significances and meanings of the full circle moment, providing rare clarity. Numerous, deliciously, decadently satisfying, freshly baked, delicately flavorful chocolate chip cookies and any extra, additional, fun refreshment themed drinks are seen filled to the brim, some even casually sporting their most favorite, preferred, puffy, white, whipped cream topping shown through little, tiny sips of hot chocolate, undoubtedly creating a unique, annual, plentiful, profound, traditional experience for all ages and respective, proactive generations!